Mammoth changes could be about to take place in Cuba, what does this mean for Canadian travellers? A couple of decades ago, British author Douglas Adams presented a radio series—and wrote an accompanying book—entitled “Last Chance to See.” In it, Adams — the author of the cult favourite “Hitchhiker’s Guide to the Galaxy—and his co-author Mark Carwardine travelled the world to glimpse some critically endangered species in the wild. These included the Aye-Aye in Madagascar, the Kakapo in New Zealand and the Amazonian manatee in Brazil. The book and radio programmes—and a later television series starring Stephen Fry—were a hit with anyone interested in wildlife, travel and Scrabble-winning animal names. Travelling to far flung corners of the world to catch a glimpse of something rare or endangered is not uncommon, whether a particularly unusual celestial event, a scarce bird or environmentally-threatened monument. But how about an entire country? I’m not talking about somewhere like the South Pacific nation of Kiribati which, due to rising ocean levels is threatened with completely disappearing beneath the waves within our own lifetime. I’m referring to a change massive enough that the country as we know it today, may not exist for much longer. A few months ago, U.S. president Barack Obama expressed a desire for improved relations between his country and Cuba. Amongst other things, the initiative calls for the re-establishment of the diplomatic relations that were severed in 1961, and an increase in travel and trade. Until recently, it was difficult for Americans to go to the Caribbean island nation. Only those going for official educational, cultural or religious reasons could visit and each had to seek permission from the U.S. Department of State before travelling. There were also stringent restrictions on spending money while there that, if violated, could see the person face hefty fines from the Treasury Department once back home. Obama’s efforts have immediately made it easier for U.S. citizens to cross the 90 miles of ocean that separates Cuba from Florida. Although technically Americans are still unable to head to Cuba for a simple week of “Flake’n’bake” on a sun-drenched beach, they can now visit on organized group tours that include an educational or cultural element. Despite these restrictions, there will likely be a considerable increase in the number of Americans visiting Cuba and as long as the talks continue, there remains the possibility that one day soon Americans will be able to visit Cuba as easily as Canadians. Currently, more than two million people from all over the world visit Cuba annually. According to the U.S. Office of Travel and Tourism Industries, a division of the U.S. Department of Commerce, in 2014 more than 22 million Americans visited Mexico and almost 6.5 million visited the Caribbean. It’s safe to assume that not all American travellers will want to go to Cuba if and when the door swings open completely. However, if only 10% of those Americans who visited other Caribbean destinations last year went to Cuba, that would have a massive impact on the island’s tourism infrastructure. And that would potentially also have a massive impact on us, Canadians! For decades, Canadians have accounted for as many as half of all international visitors to Cuba. Many are drawn by nothing more than the beaches, palm trees, endless mojitos and the economical cost, but there is still a significant proportion who head south for the music, history and culture either first and foremost or in conjunction with lazing on the sand. Whatever the reason Canadians choose to visit Cuba however, a sudden increase in American visitors would have a considerable and immediate impact on us. Firstly, there would be the issue of availability. Cuba has a decent tourism infrastructure and resort areas like Varadero and Holguin have dozens of sprawling hotel complexes which have allowed Canadian travellers to make annual winter pilgrimages. Although space can be a challenge during peak periods like Christmas or March Break, it is rare for someone not to be able to get a flight or a hotel room somewhere on the island. Throw a few hundred thousand new travellers at the current infrastructure and hotel availability may no longer be as easy as it has been. Secondly, would be the effect on cost. Like most things in the world, price is at least partly dictated by supply and demand. If availability is drastically reduced because of an increased demand, hotel and tour operators would have no difficulty in increasing the price they charge. Thirdly would be the general affect on Cuba ‘s tourism infrastructure. 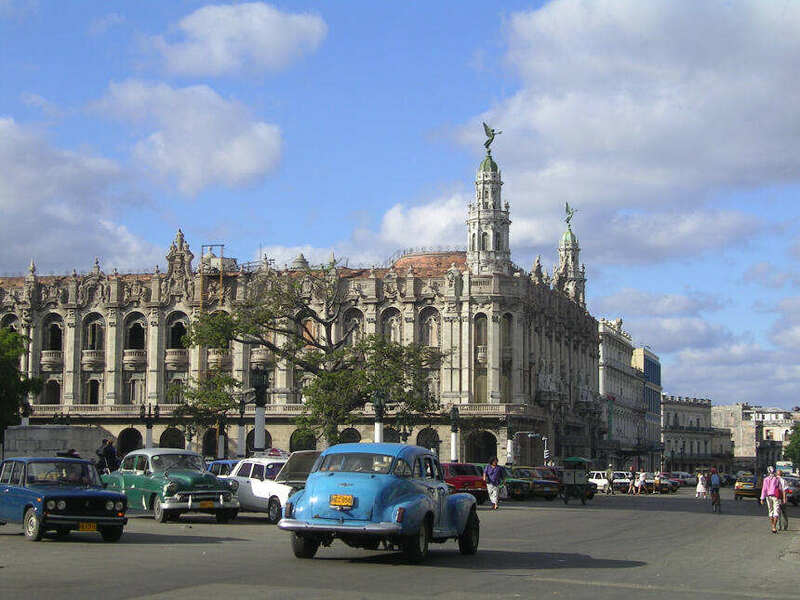 Any visitor to Havana has undoubtedly encountered other tourists, but it has likely always been significantly fewer than would be seen around the key sights of Paris, Rome or London, for example. If the number of visitors was increased by a considerable percentage—and that’s without factoring the very real possibility of cruise ships eventually docking in Havana and at other key sights and disgorging thousands of day-visitors at a time—the experience would change enormously. As would the ability to find a taxi, to grab a snack or to settle on Ernest Hemingway’s bar stool in El Floridita and have a dacquiri. Finally, there’s Cuba itself. Regardless of your political leanings or opinions, one of the great appeals of Cuba is its uniqueness. From the huge image of Che Guevara in the Plaza de la Revolucion to the colourful revolutionary murals on many walls; from the dilapidated glory of the colonial buildings in Old Havana and that line the Malecón, to the traditional cigar factories; from the anti-aircraft guns outside Havana to the ancient cars that still ply the capital’s narrow streets, Cuba is absolutely unique and exists like a living museum. With a considerable increase in visitor numbers, the inevitable influx of foreign currency, the likelihood of foreign investment and increase in multi-national hotel chains and businesses, much of that unique character—and its inherent appeal to many foreign visitors—could be lost. Although a dramatic increase in travellers from the U.S. would not cause Cuba to sink beneath the waves like Kiribati, it would almost certainly alter Cuba forever. If Cuba appeals for its culture and history, there is truly never a better time for Canadians to head to Cuba than right now!